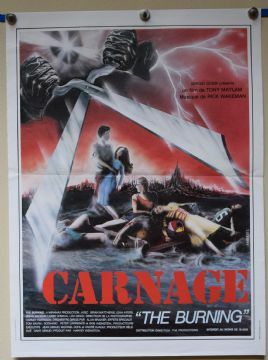 The Burning (Filmway Pictures,1981) French Poster Size 21" x 16"
Incredibly scarce French poster for The Burning starring Brian Matthews and Leah Ayres with artwork by Ambrieu . The poster has the tiniest of edge creases. Displays incredibly well.